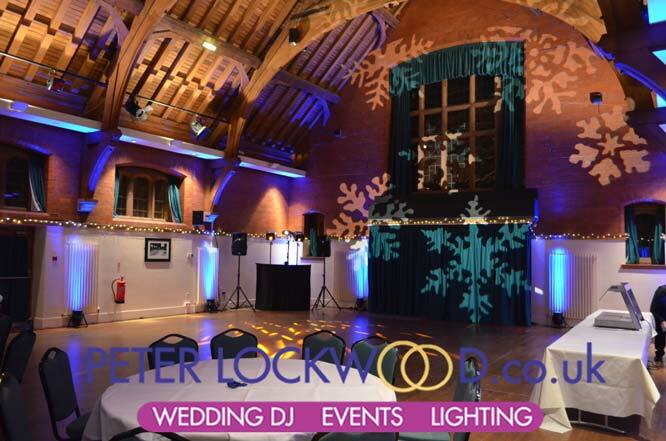 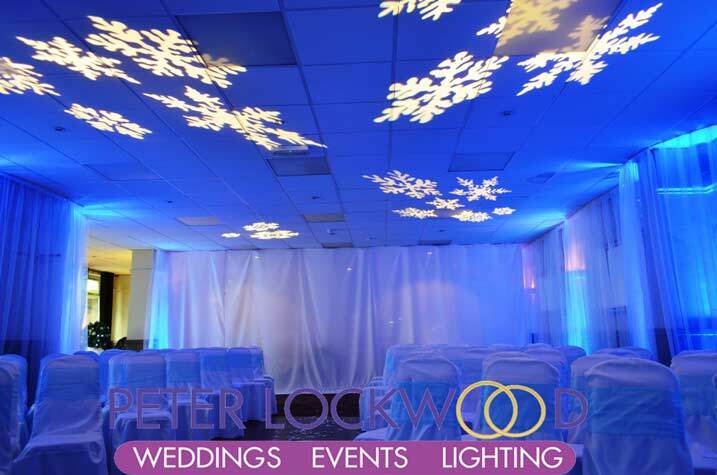 Winter Wonderland is a fantastic wedding theme, I can provide ice blue uplighting. 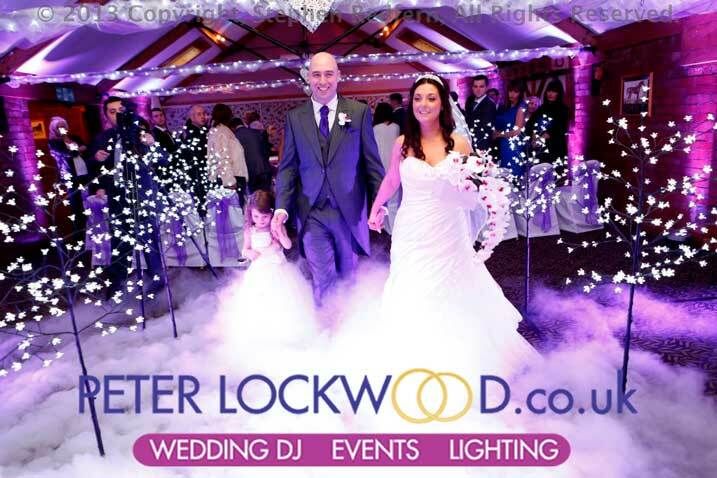 bright white or warm white string (fairy) lights, snow flakes projected around the room and a white cloud for your first dance. 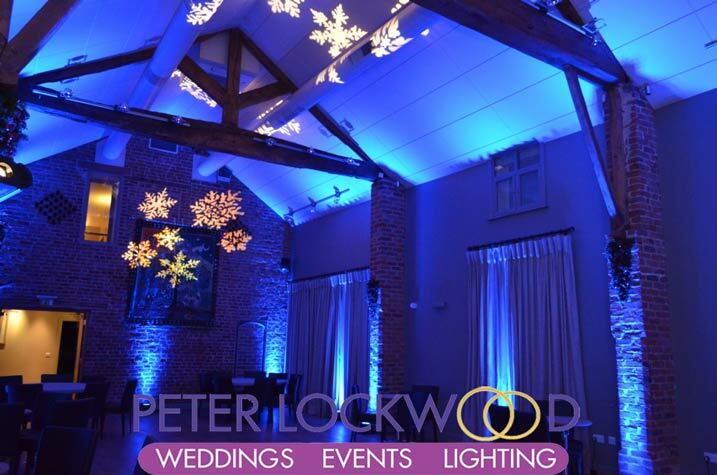 Blue wedding lighting along with snowflakes moving around the ceiling at Arley Hall for a Winter Wonderland Wedding. 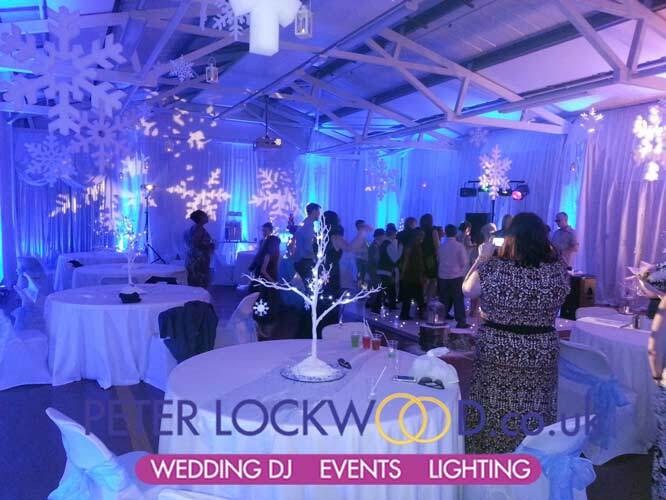 The 6×3 meter winter wonderland backdrop. 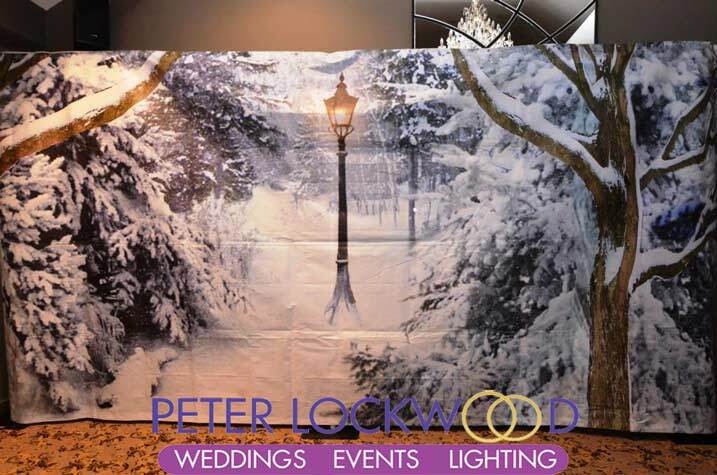 Its perfect as a top table backdrop of to hide a ugly wall or use as a photo backdrop. 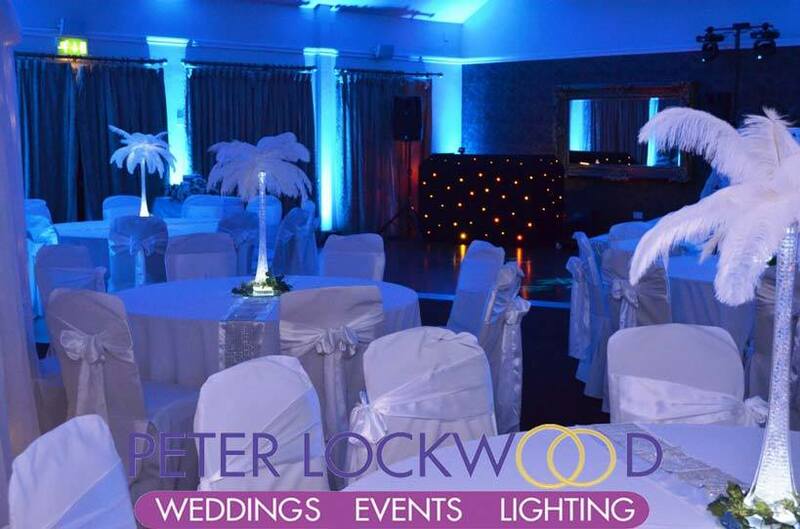 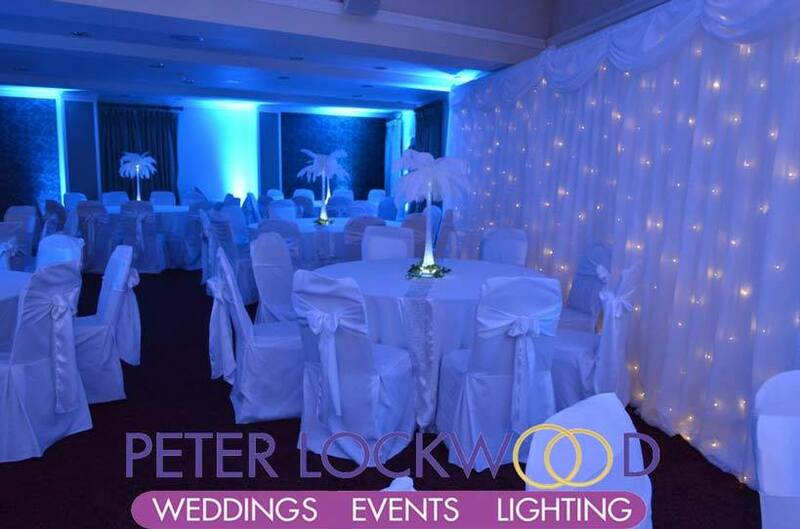 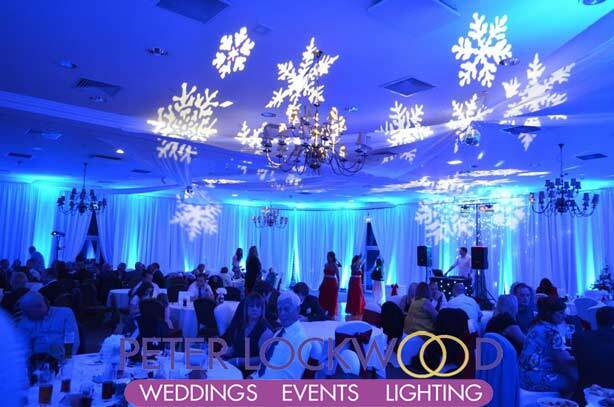 On the left is a picture showing Blue Mood Lighting and Snowflake projection in Bolton School – Arts and Conference Centre for a winter wonder land Wedding, on the right is a picture from a wedding at Kilhey Court Hotel. 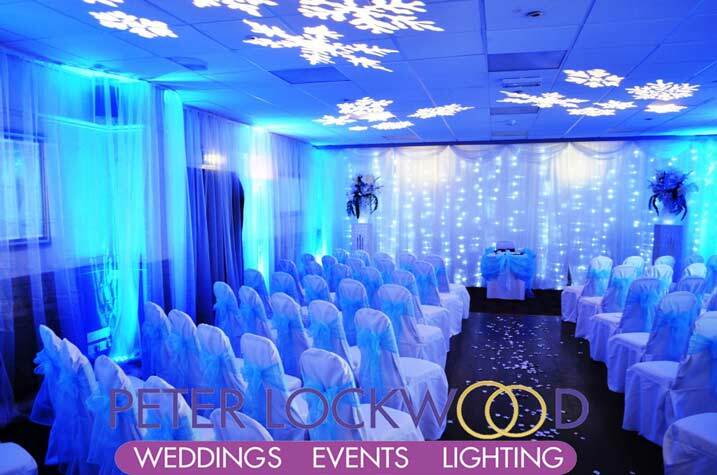 Winter wonderland wedding in the Red Hall Hotel with blue uplighting, twinkle backdrop and 2 moving heads with snowflake gobo selected. 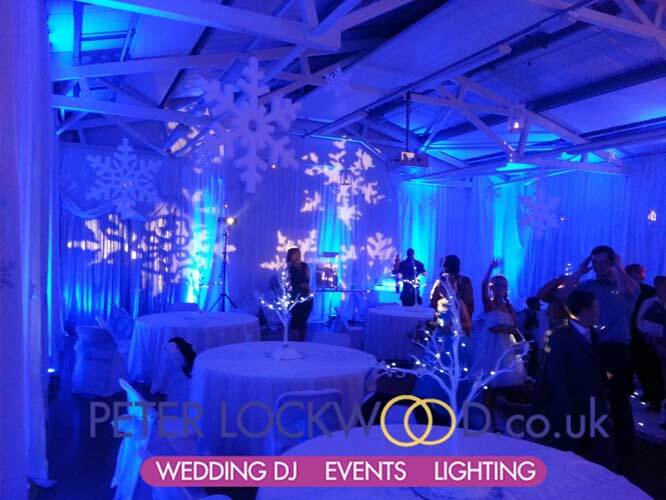 Crosslee Community Primary School had a winter wonderland school prom, I transformed the school hall with 2 flame lights,18 blue high power uplights and 2 snowflakes projection lights. 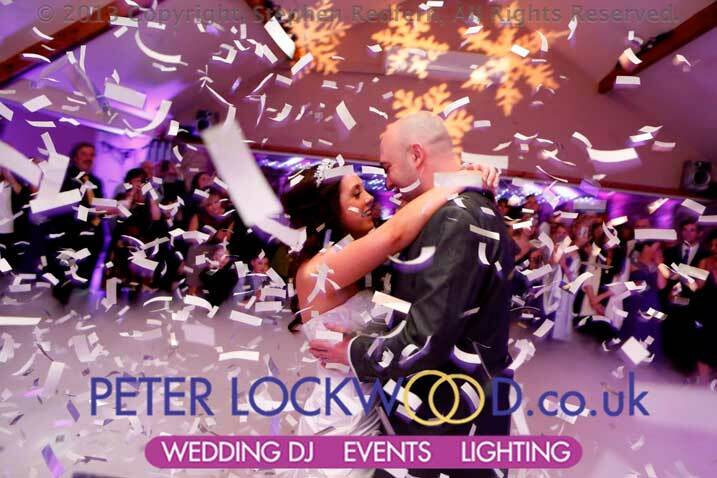 A bit of a strange theme when it was a mad hot summers evening in July.